These trees will be cut. 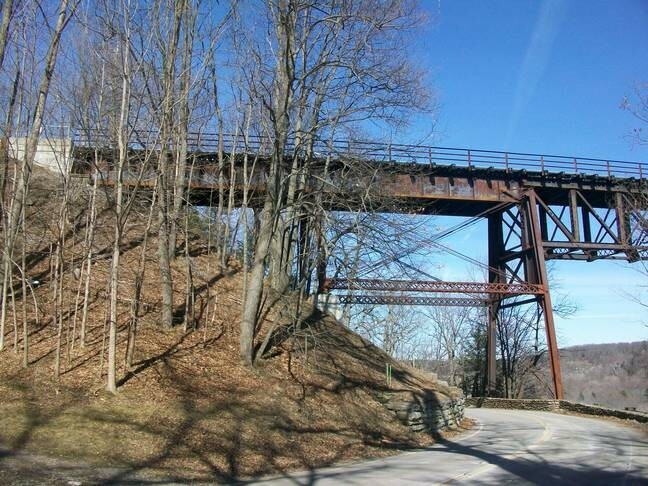 The road underneath the bridge will be closed starting March 23 so tree cutting can begin on the west bank. Photographed by Chris Bigham, March 19, 2015. Added to the photo archive by Chris Bigham, March 20, 2015.